Fire at the flick of your fingertips? Don't wait - Incinerate! 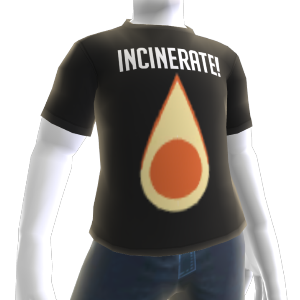 Show off this fiery plasmid with the Incinerate! Tee. There are no refunds for this item. For more information, see www.xbox.com/live/accounts.